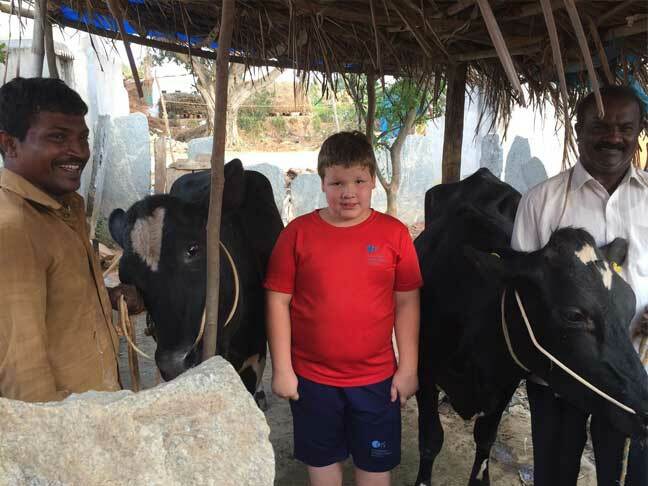 Shane Olson and his eleven year old son Eric Olson, work together as a team in Bangalore on the Micro Growth project. 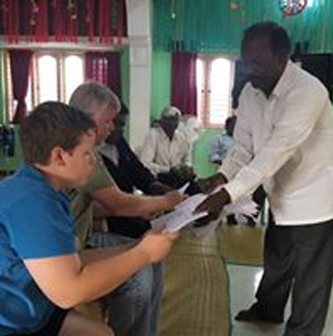 Eric and Shane sign documents (MOU) together with beneficiaries when they receive the livestock. Families maintain a record of their expenses. 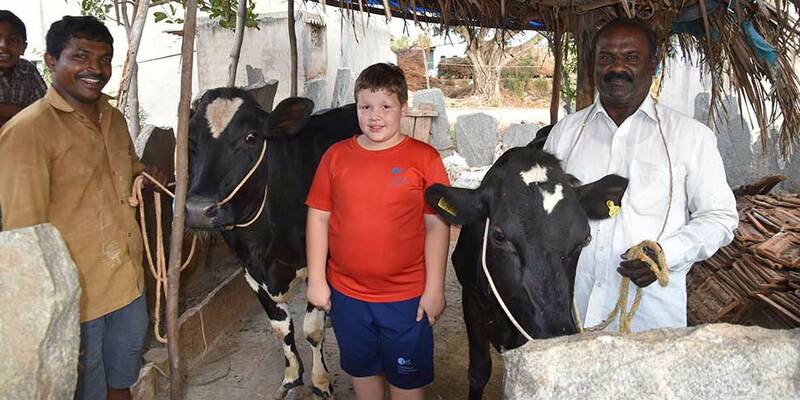 Even though Eric can’t read Kannada, he knows what the figures in each column kept by the beneficiary families stand for, because he takes his responsibility very seriously. Eric Olson keeps a track of all activities and faithfully sends updates to the donors. Eric is excited to see the project grow. Gathering Together has received money from a donor in China. The money given will benefit four more families. 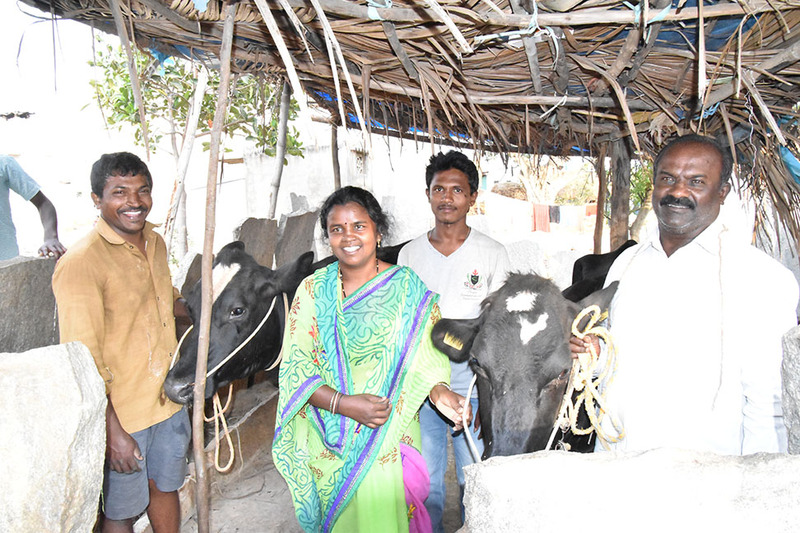 Currently 5 cows have been given to 4 beneficiary families. It is now set to expand to 4 more new families. 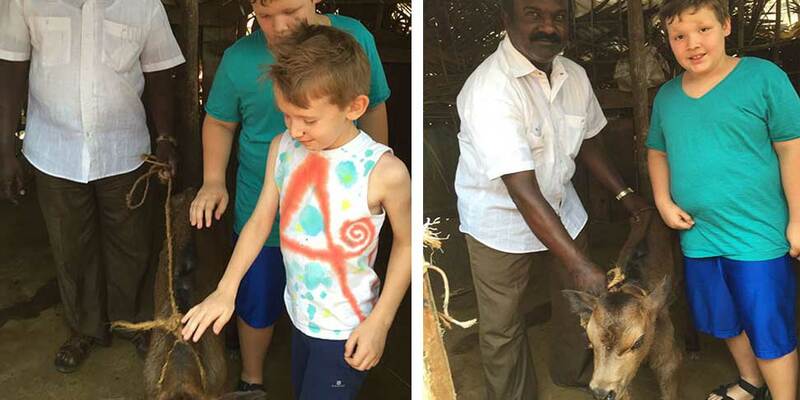 The livestock will include 12 kids ( goats), 1 buffalo and 2 cows. Gathering Together, encourages families to be part of their projects. 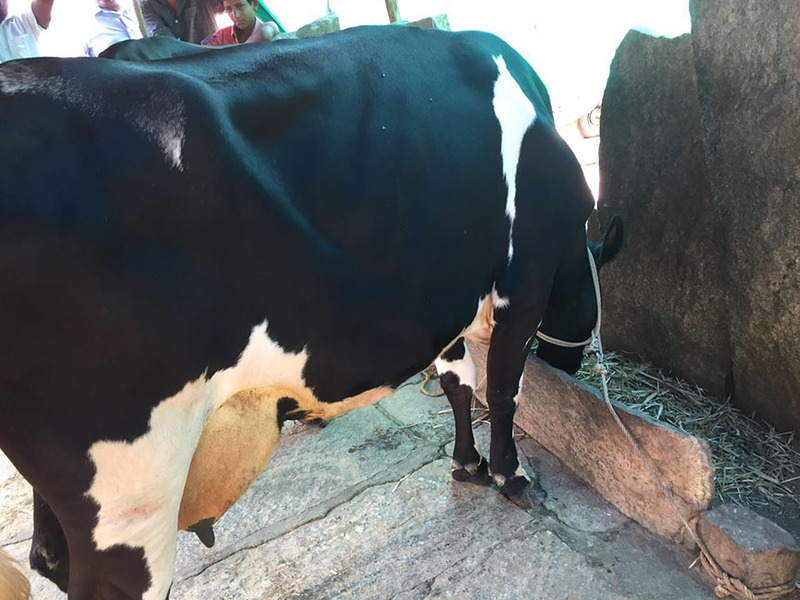 Along with the livestock, Gathering Together provides the basic start up costs of Rs15,000 for 2 cows or Rs 10,000 for 1 cow to cover the basic costs of getting a shelter built for the cows, food and other needs, like buckets, sanitizers etc. Thanking all our donors for their generosity and love. Your gift will transform families and the communities to which they belong. 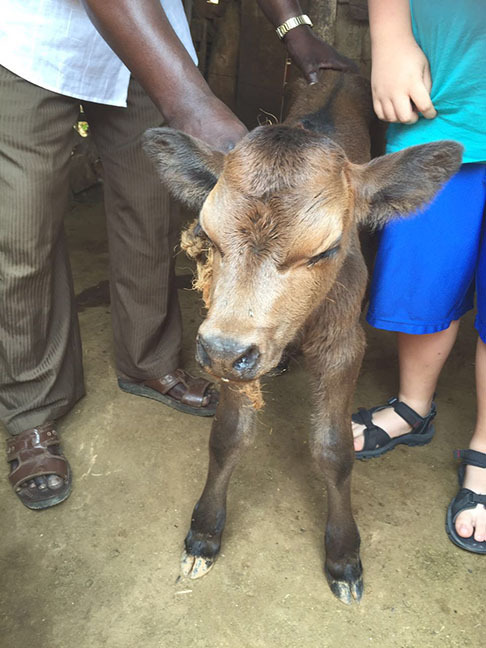 Gathering Together continues their mission to reach out to those in need and create awareness about them. The Olson family continues to share with other families in the neighborhood to create awareness of the joy of giving to those in need. Donations of sports equipment, good clothes etc have been collected to be given to an orphanage. 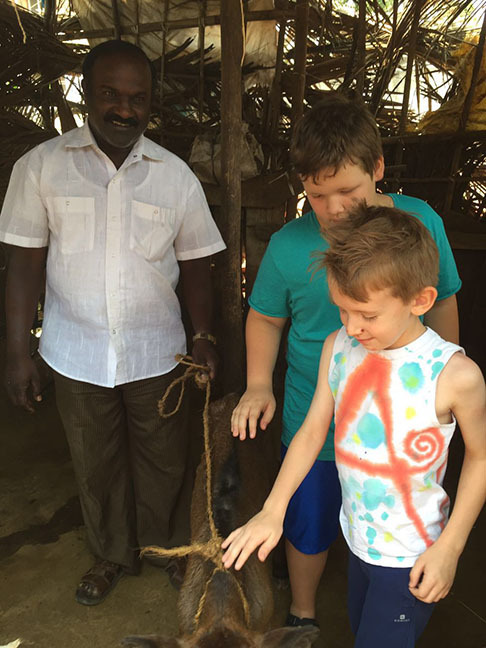 Agape Orphanage has 50 children; 25 boys and 25 girls. Aaron Olson all of 7 years, has raised some money for the school supplies. Children in the neighborhood have joined in to get their families to give used clothes, toys, play equipment etc. 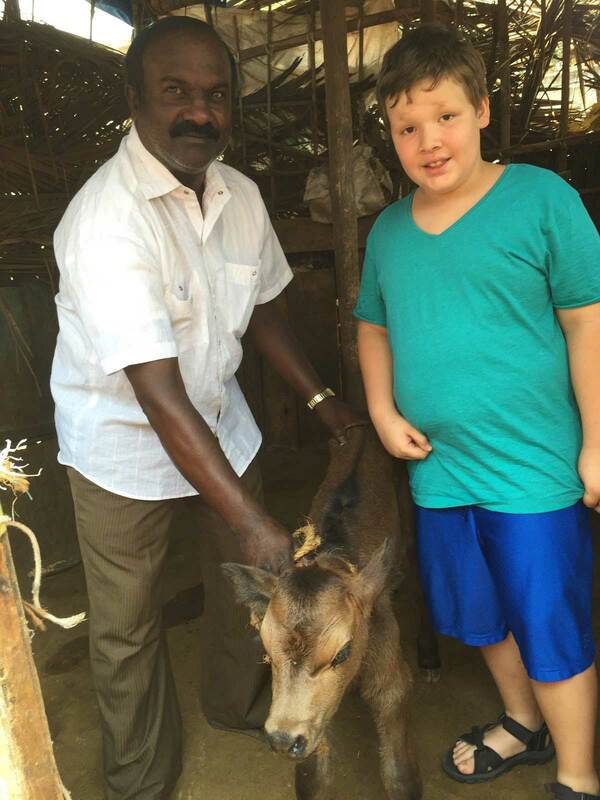 The Olson family have also received school supplies from USA. All the collected items have been kept for distribution to the orphanage. The Clinic in the gated colony where Lara Olson lives, continues to run smoothly. Lara continues to see patients. 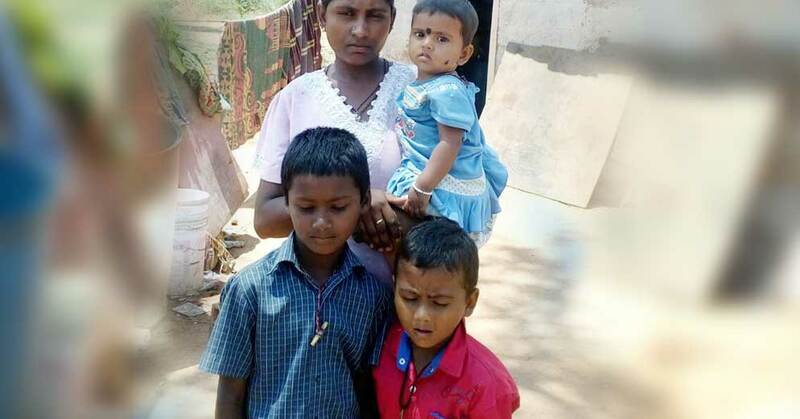 Since the colony is in an isolated part of Bangalore, People prefer to come to Lara, for emergencies, than going to a doctor a few kms away. Grateful patients contribute to the GT fund. Leadership Training: In partnership with TRI-M. Gathering Together provides training and leadership to develop the skills of deserving people at the grassroots level. Trainings are given for a week each, four times a year for four years. Community Outreach: A recently started project. Community interventions are being planned for daily laborers working in nearby surrounding farmlands. This includes Medical assessments. A medical ambulance has been purchased to take people in emergencies to the hospital. Migrant Groups: Gathering Together is planning interventions in migrant communities living in tin shacks. Gathering Together has facilitated two children joining school as well as providing for all the school expenses – uniform, back pack, stationeries, books and school fees. This will be expanded as funds increase. 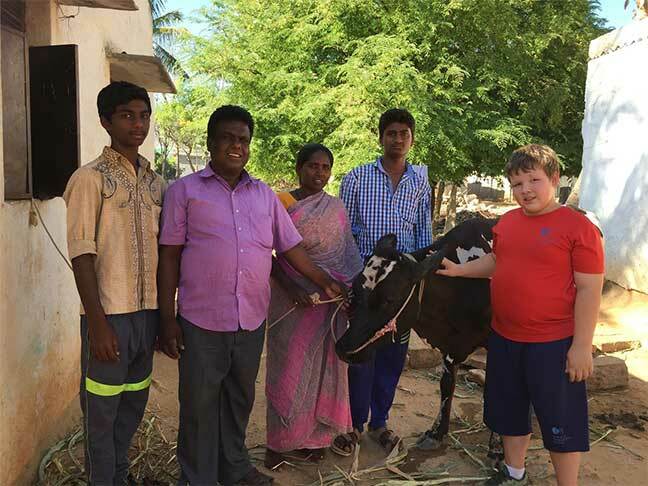 The inaugural milking of the first cow bought and distributed, in the Gathering Together Micro Growth Project. Bangalore, India.